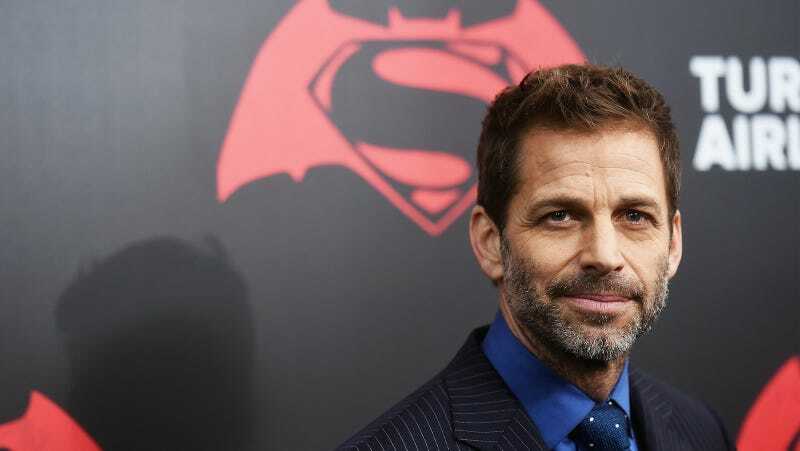 Director Zack Snyder left the set of Justice League to spend time with his family after the death of his daughter, and was replaced by Joss Whedon. It seems as though he may be ready to return and has already picked his next project. Ayn Rand’s The Fountainhead appears to be the story Snyder thinks we all need to see on screen right now, according to Deadline, a tale of powerful individualism celebrated by every hedge fund manager on OkCupid and probably our president, if he could read. Snyder’s choice was announced on a social media site called Vevo, and screencapped by a fan. It makes sense that someone lately known for crafting superhero movies would be intrigued by the narrative of Rand’s brazenly capitalistic novel; most DC and Marvel films basically advocate for the freedom of a powerful entity to pursue their own goals over the safety of the world, because they can talk to fish or whatever. Snyder had been developing a film called The Last Photograph, a drama set in Afghanistan, but that seems to be on hold. It’s unclear if Snyder would work on Fountainhead with Warner Bros, but I’m currently picturing the gritty story of an architect in Gotham who just won’t be told no.